Risk management is one of the most important aspect of trading. In order to be successful at trading, you need to have a good risk management strategy in place. Because spread betting is a highly leveraged market, just one unprotected trade could result in a margin call and destroy days (and sometimes years) of profits. That’s why trading with a risk-management plan that includes stops and limits is a must. Although no trader likes to be stopped out of a position, being wrong is a fundamental part of every trading experience. Those traders who fail to control their mistakes do not last long in any market. 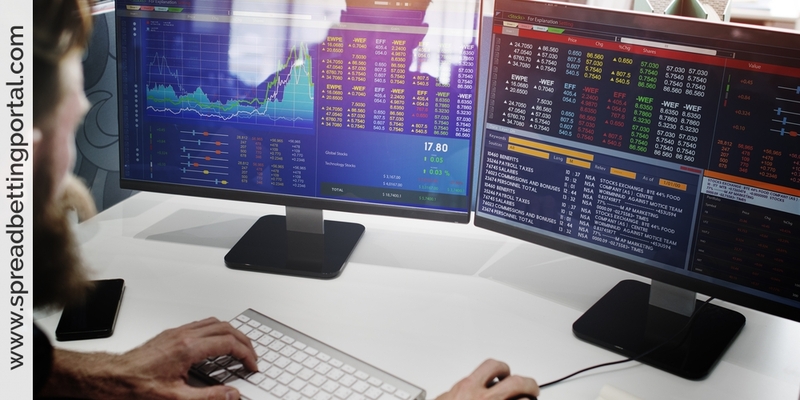 Spread betting providers offer some of the most comprehensive ranges of trading tools available in the industry. Most active traders will at some point have been stopped on a trade/investment only to see their idea continue to head in the direction they first assumed. Nevertheless, a stop loss is without question a necessity and as such it becomes a trader’s Catch-22. Some market participants trade with stop losses on every investment/trade placed, whereas others trade without any protection at all. It is important to always assess how much downside is acceptable to ensure continued exposure to take advantage of the potential upside envisaged. Therefore, if trading without a stop loss, it is important to pre-select an exit point should the position move against the initial strategy. When placing a stop loss, the acceptable level of risk should be calculated, whether based on fundamental or technical reasons. Every investment/trade carries a risk, some greater than others, but in every instance the potential downside should always be judged in context against the assumed upside. You would usually use a stop order to restrict losses on a position in case of an adverse market movement. Stop orders can be used in one of two ways. They can be placed above the current market level in what is called a buy stop, or below the current market level in what is known as a sell stop. These stop orders would be triggered in the event of an adverse market movement, limiting the losses on an existing position. This means that you can open or close a trade at any time should you feel that the market will behave in a certain way and should a particular level be reached. A limit order would ordinarily be used to take advantage of a favourable market movement and are usually placed to take a profit on a position in this situation. As with stop orders, they can be placed as a buy limit or a sell limit, that is to say, either above or below the current market level. Unlike a stop order, limit orders would be triggered by a favourable market movement, thus realising a profit on an existing position. 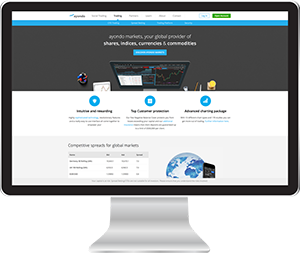 Most spread betting trading platforms allow you to combine both stop and limit orders and supports multiple orders on your account. There is no restriction on the number of orders that you can place. You can use orders that are attached to an original bet to take a profit or loss, or can implement them as part of a contingent order. For example, a narrow stop can cause more damage to your account balance than a wide stop if it is frequently triggered. A stop of 50 pips in a volatile currency pair such as GBP/JPY could be hit in a matter of moments. If a spread trader re-entered the position three of four times in a row he would incur losses of more than 200 pips while the actual adverse movement in the pair could have been no more than 70 or 80 pips. In that case, a stop of 100 points would have been much wiser because it would have provided sufficient risk control at much lower overall cost. The average true range indicator can help you quickly ascertain a pair’s volatility level. Clearly a pair such as EUR/GBP which rarely moves more than 50 pips per day will be far less volatile than GBP/JPY which frequently travels more than 300 pips during a session. Adjusting for these differences is the key to setting proper stops. For example, some traders claim that they prefer to hold long-term swing positions but end up placing very tight stops that can be frequently taken out during the typical daily price flow. If the intention is to hold a position for several days or perhaps even weeks, you must consult the weekly rather the intraday chart for key points of support and resistance. A good rule of thumb is that any trade intended to be held for longer than 24 hours should not use a stop less than the prior day’s low when going long or prior days high when going short. Generally, traders will set stops just outside swing high or lows – these are points on the chart that indicate the most immediate extremes in price action. The idea is that if those extreme levels are taken out the trader is generally wrong on his setup. What’s the duration of the trip? AUTOMATIC TRAILING STOP: An automatic trailing stop trails your position at a preset distance as the market moves. Then, if the market reverses, the stop may lock in potential profits and help limit losses. LIMIT: Orders that specify that a trade must be executed at a specific price or better. Traders typically use limit orders in attempt to capture profits and exit a position; however, they can also be used to enter a position. PARENT & CONTINGENT (P&C): A P&C order allows you to easily place an entire trade, including stops and limits, in just one step. The contingent orders will not be filled until the parent is executed, allowing traders to set up the entire trade, including entry, exit and risk management, based on specific market prices. P&C Orders are often set as OCO orders so that when one of the contingent orders has been filled, the other is automatically cancelled. OCO (One Cancels Other): An order that consists of both a stop order and a limit order. When one of the orders is executed, the other is automatically cancelled. Make sure you understand how these tools work and when you should use them. Most importantly, start trading with small amounts. Close as soon as the price is hit. Close after a whole candle closes below your target. Close when the price is hit within UK trading hours. Close anytime the price is hit 24/7. Close when a moving average is hit. There are dozens of possibilities but choose one definition and stick to it. I personally find it much easier to trade when every possible action has a definition so I have no emotions about pulling the trigger or hitting the button. When to enter, how much to stake, when to partial exit, when to totally exit, when to add to a position, stop position, trailing stop – everything can be defined before you trade.